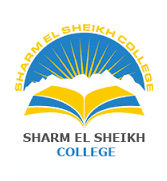 The mission of Sharm el Sheikh College is to provide opportunities for a better future through quality education, meeting the needs of the community. Children come to an understanding that they live in a special unique place, and that they need to have tolerance for all. This mission will be pursued in partnership with parents through an enriched Egyptian National Curriculum and the International Studies Program.